Germany and Norway already benefit from deeply rooted ties politically, economically and culturally. What can we as tech and startup scenes learn from each other? What are the barriers to growth? How do we best facilitate for the ecosystem as policy makers? Are there ways of working closer together? This year’s tech programme at Berlin Music Week is looking at the key learnings from Norway as well as co-hosting Berlin Start Up Corner, a two-day event where companies open their doors to invite people for various events, and a music and tech pitching competition, with MashUp Norway and Projekt Zukunft. More than 30 international applicants submitted their proposals to the pitching contest jury which in turn selected an exclusive short list of ten finalists. Norway is represented by Disco Fingers who have pioneered an exciting app that enables users to create their own little beats in an easy and fun-packed fashion, by way of placing small “disco fingers” at a 2D grid. The Disco Fingers app is also boosted with the option of adding user-recorded sounds into the beat, and vast sharing opportunities. Along with nine other international startups, cPulse (France), Nagual Sounds (Germany), Soundlytics (Luxemburg), Feelthebeat (Germany), Zoo Labs (California), Klang (Germany), Threaks GmbH (Germany), Spinnup (Sweden), Reactify (UK) pitched their idea in front of the jury consisting of Steffen Holly (Fraunhofer IDMT), Knut Jørstad (Factlines), Andrea Leonelli (Digital Music Trends), Nina Nedreaas (Universal Music Group), Kathleen Olstedt (IBB Beteiligungsgesellschaft) and Ingrid Walther (Senatsverwaltung für Wirtschaft, Technologie und Forschung). 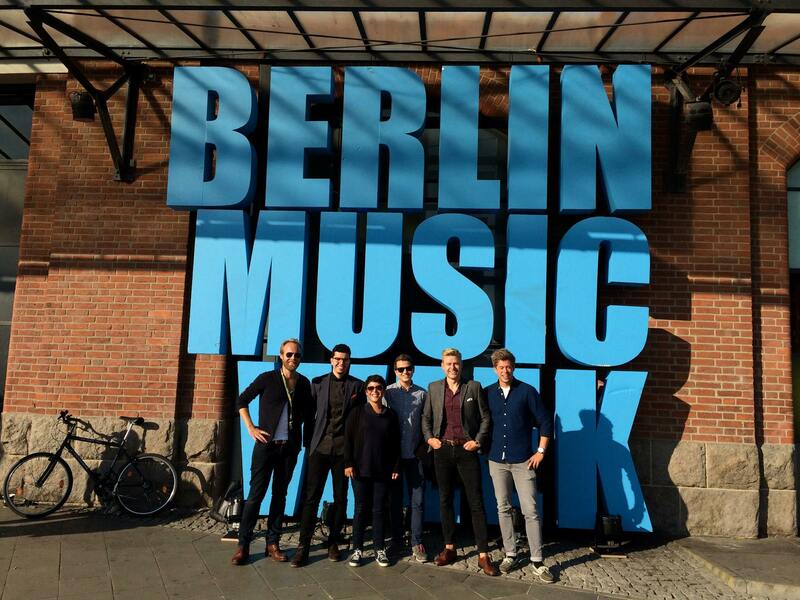 We are proud to present such respected partners for our inaugural international MashUp session as Berlin Music Week, New Thinking, Berlin Zukunft and Start Up Safari. They look to Norway for the expertise and experience our industry reps have gained in recent years in a market that is considerably more digitized than the German one. MashUp represents this expertise and network. Music Norway strives to support creative initiatives found in the intersection between music and technology. This has become a substantial part of the extended music industry and is now the business area with perhaps the greatest level innovation and the industry’s most important revenue source in recent years. Jonas Vebner, Head of Music Norway’s Berlin office.